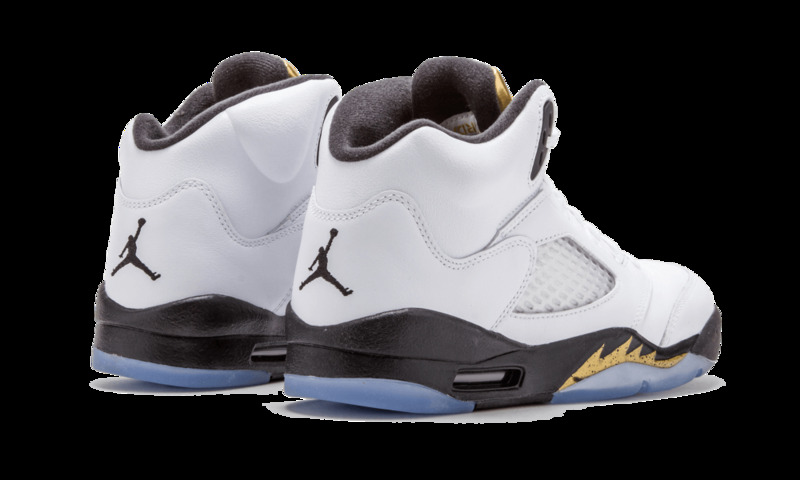 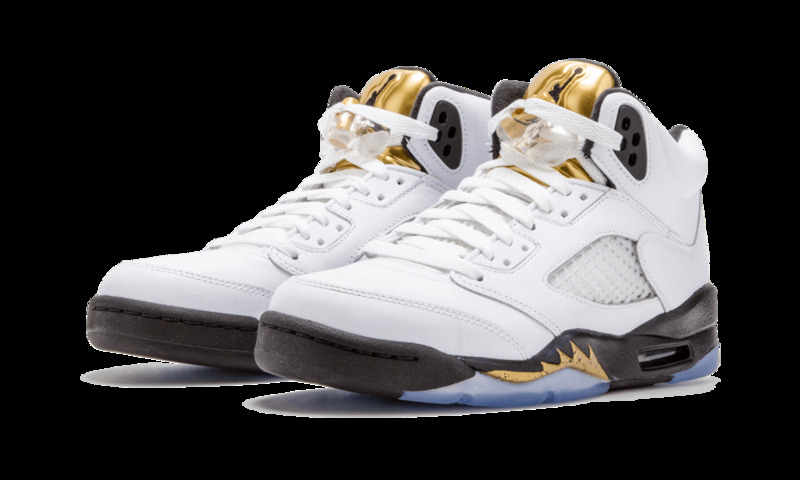 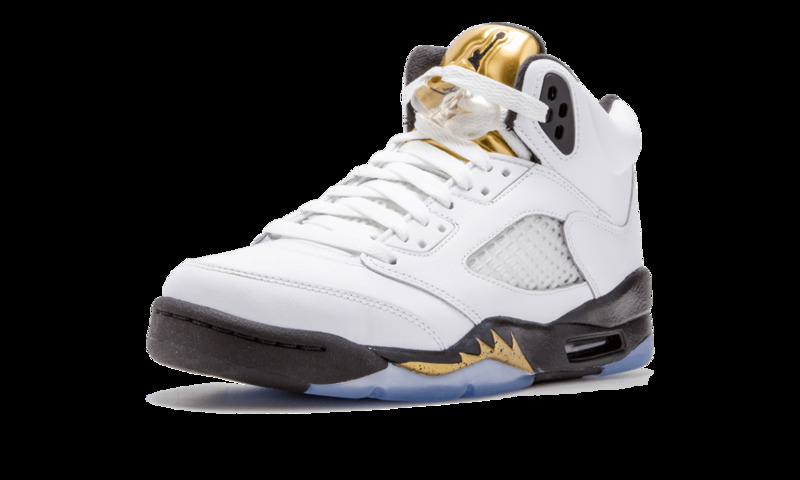 Released in celebration of the summer Olympics of 2016, this Air Jordan 5 takes first place with the “Gold Tongue” colorway. 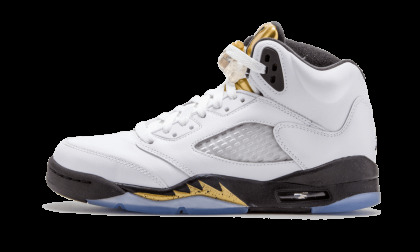 The clean look features a white leather upper with a metallic gold tongue and black accents. 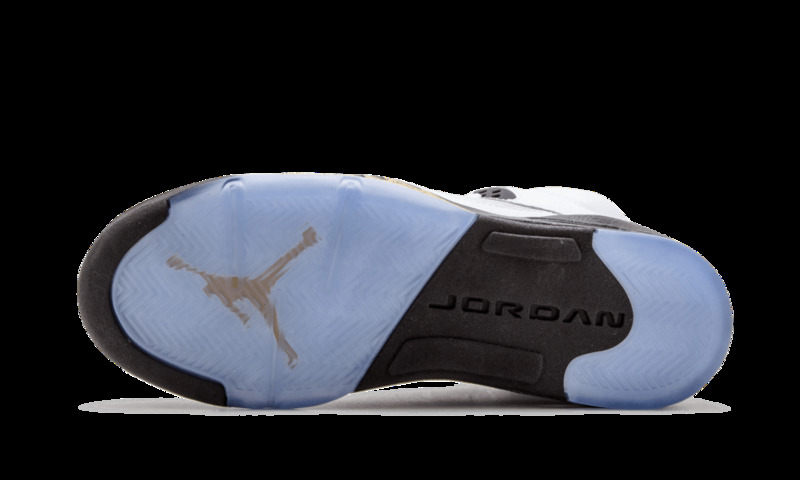 This listing id for Grade School sizing.